Orascoptic is constantly pushing the limits to provide products that bring lasting value to the day-to-day lives of healthcare professionals. Our collection of loupes offers edge-to-edge visual clarity throughout the entire viewing field, while also providing excellent field width and depth. Schedule your custom fitting with a local expert by calling 844.570.6697. Magnification — Loupes improve visibility of critical components that may typically be missed by the naked eye. Loupes offer high definition resolution, creating an enhanced visual acuity for the clinician and allowing for better procedural outcomes for the patient. 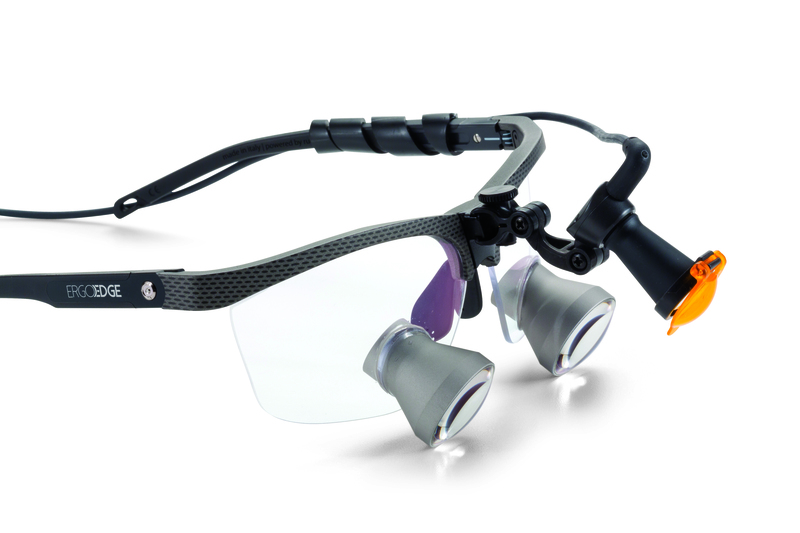 Ergonomics — Utilizing properly fitted loupes allows clinicians to maintain optimal posture, helping to prevent back pain, neck pain and headaches from prolonged crouching and neck craning. Illumination — Having proper illumination during procedures and examinations is crucial. While magnification may enhance your viewing field, proper lighting will work to eliminate shadows that may impede your field of view and prevent eye strain.